About 16x30x8 inches. 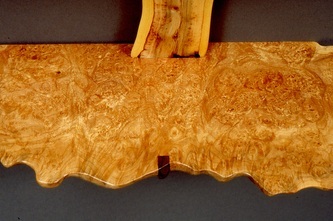 On a trip to Vancouver Island I bought a number of pieces of big-leaf maple burl. 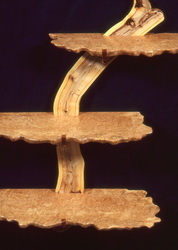 Here three slices of one burl are mounted on a base of local carragana. 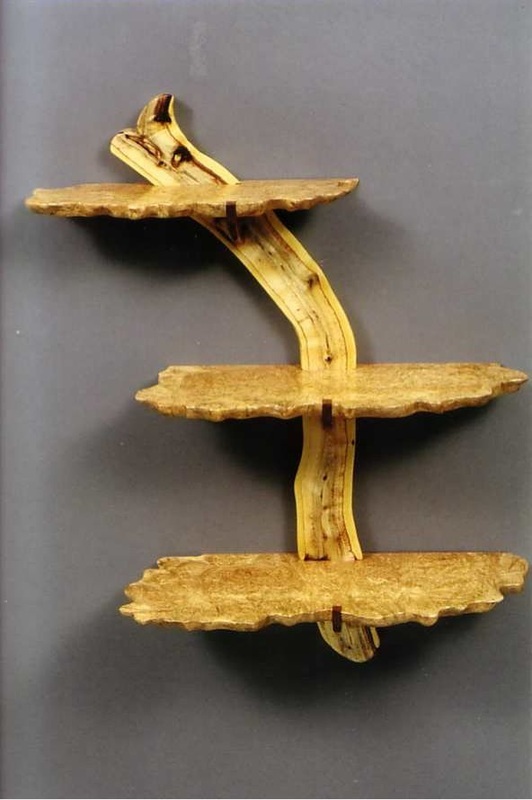 It hangs on two hidden french cleats. Sold.